Can driverless cars solve our traffic woes? 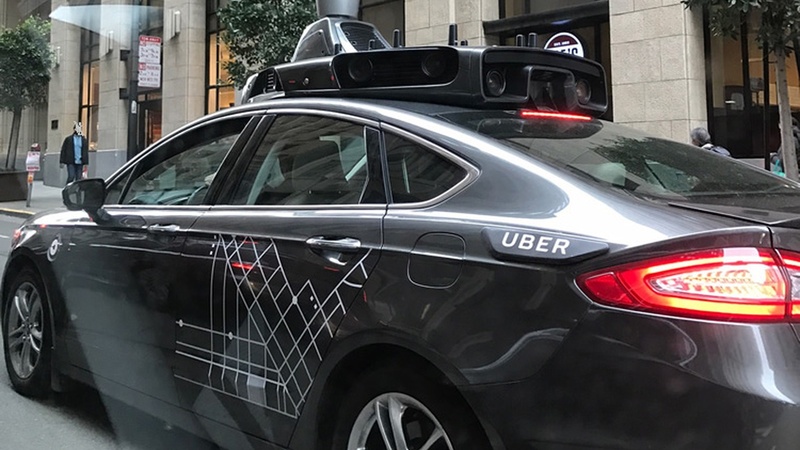 Nine months ago there was great fanfare when Uber picked Pittsburgh as the inaugural city for its driverless car experiment. At the time, Mayor Bill Peduto said, "You can either put up red tape or roll out the red carpet... If you want to be a 21st-century laboratory for technology, you put out the carpet." Nine months later, the New York Times reports that Pittsburgh residents and officials say Uber has not lived up to its end of the bargain. The paper reports that Uber apparently began charging for driverless rides that were initially pitched as free, withdrew support from Pittsburgh's application for a $50 million federal transportation grant, and has not created the jobs it proposed in the low-income neighborhood that houses its autonomous car testing track. Greg Lindsay, a Senior Mobility fellow at NewCities, says other cities should learn from the mistakes of Pittsburgh. "I think it'll be a real lesson for mayors and transportation officials elsewhere that you simply cannot roll out the red carpet and hope that your private partners will do what's best for you. It needs to be negotiated to the nth detail and in a way that basically furthers your own goals," Lindsay said. Uber has had similar problems with driverless cars in other cities. Last December Uber ended its autonomous car service in its hometown of San Francisco after only a week. That was after California officials told the company to stop the service because it was illegal and it lacked the necessary state permits for autonomous driving. A few hours after the trial began, one of Uber's cars ran a red light, nearly hitting a (human-driven) Lyft car. Then the state DMV actually revoked the company's registrations for its self-driving cars. Uber resumed testing its driverless cars in San Francisco in March. Uber has had a number of setbacks with its conventional ride-sharing services, and has pulled back on efforts to expand in China, in Germany and other places. At the same time it is in the midst of a high-profile legal fight over intellectual property with Google's subdivision Waymo. Waymo sued Uber on grounds that its former engineer Anthony Levandowski, who previously worked at Google and spent years working on the company's robocar effort, stole reams of intellectual property before he quit in early 2016, and that when he joined Uber six months later, used the illicit know-how to advance his new employer's technology. UBER fired Levandowski, on grounds that he "failed to cooperate with the company's internal investigation into allegations asserted in the lawsuit" but it hasn't removed the taint from Uber. So should we expect to see driverless cars anytime soon? It depends what soon means. Driverless cars are coming, there's no doubt about that, but both the technology as well as the regulatory and transit planning pieces are still in development. In terms of the technology, one transportation expert and car designer DnA spoke to, Dan Sturges, says that we are in the driverless car equivalent of the first Macintosh from Steve Jobs, which had a 124 Kbps memory. We can't even imagine today what the version 3 or version 5 of the driverless car is going to look like, or the role it will play in our world. Sturges says this is just the growing pains and reminds us that when Henry Ford was creating interest in the Model T, he had to go to Kansas City and pave a mile of road so that people could drive their car on that pavement and not just on the dirt roads. He points out that right now in Phoenix he sees self-driving cars every day because Google and Uber and Intel are all testing them there on the streets, but there's a driver behind the wheel to keep control. Every city wants to be on the cutting edge, but no one wants blood on their hands. Remember the Tesla driver who was killed in a collision with a truck while using autopilot and watching Harry Potter? No city wants to be responsible for a driverless car taking out a cyclist, pedestrian or driver.